Clients in need of property management services are constantly on the lookout for a trustworthy and professional partner. 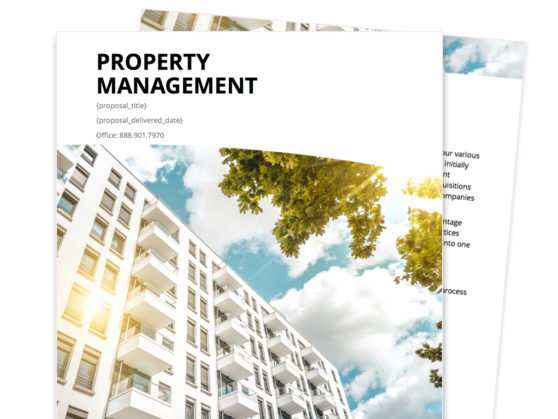 Use this detailed property management proposal to show prospective customers that, with your company, their property is in good hands. 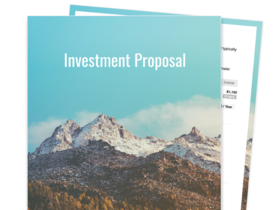 The property management proposal template consists of an introductory section, a section for your mission and vision, and a section where you can detail your management and leasing services. Fill in and customize this pre-made property management proposal according to what you and your client requires. Introduce your clients to your company’s vision, mission, and values, as well as to the roster of accredited property management professionals who will helm the task. 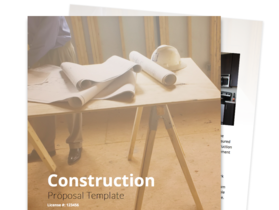 Put your prospective clients at ease by providing a walkthrough of your management and leasing services—all readily available within the proposal. Outline the next steps that your prospective client should take after signing the proposal of general information. Property management and real-estate firms that want to gain the trust of clients and showcase their expertise in managing real estate. This section will detail what your brand is about, what industry experience you’ve been able to accumulate in property management, and the growth you’ve overseen through the years. Also take the opportunity to introduce the key players on your management team. Include their headshots and briefly list their educational experience, credentials, and certifications in the area of property management. Expound on these three things that situate your property management company in the best position to help your clients. Outline your commitments to professionalism, excellence in managing assets, and abiding by the laws of the community. This section can be the “meat” of your proposal, in which you declare your aptitude and lawful certification as a real estate brokerage firm, your accounting processes, your collection processes, how you will handle tasks like maintenance and repair of properties, and how you can help your client go about leasing and advertising the property. 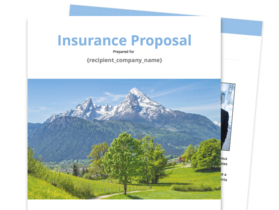 This is a proposal template for general information and is not to be used in lieu of a contract of services. Your client can use the built-in e-signature feature to acknowledge that they have read the proposal, and you can formalize an agreement from there.